Art can do a lot for us. It can cause us to think deeply; it can inspire our own creativity; it can bring more beauty into the world; it can teach us something about ourselves. But maybe the best thing it can do it make us feel less alone. 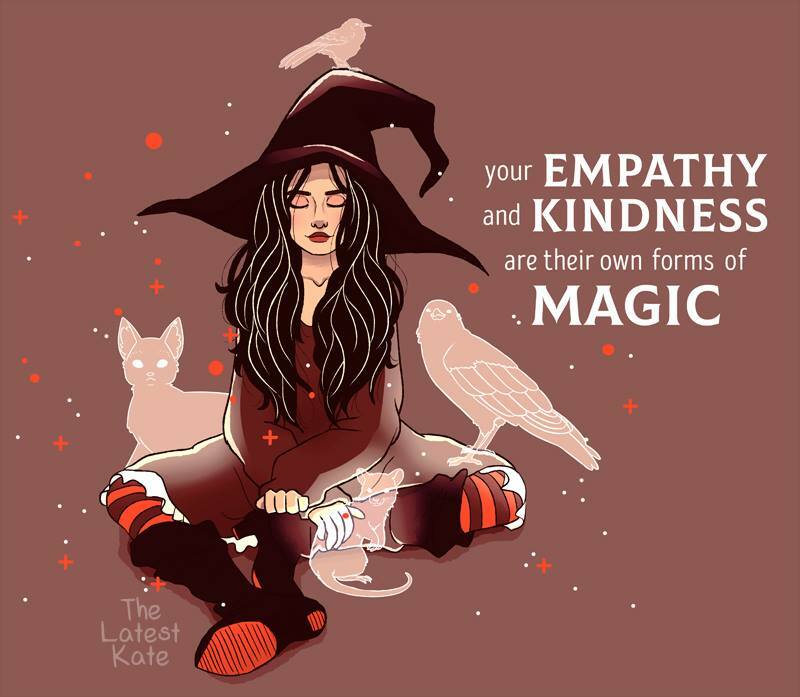 That’s what the work of Kate Allen (The Latest Kate) does. 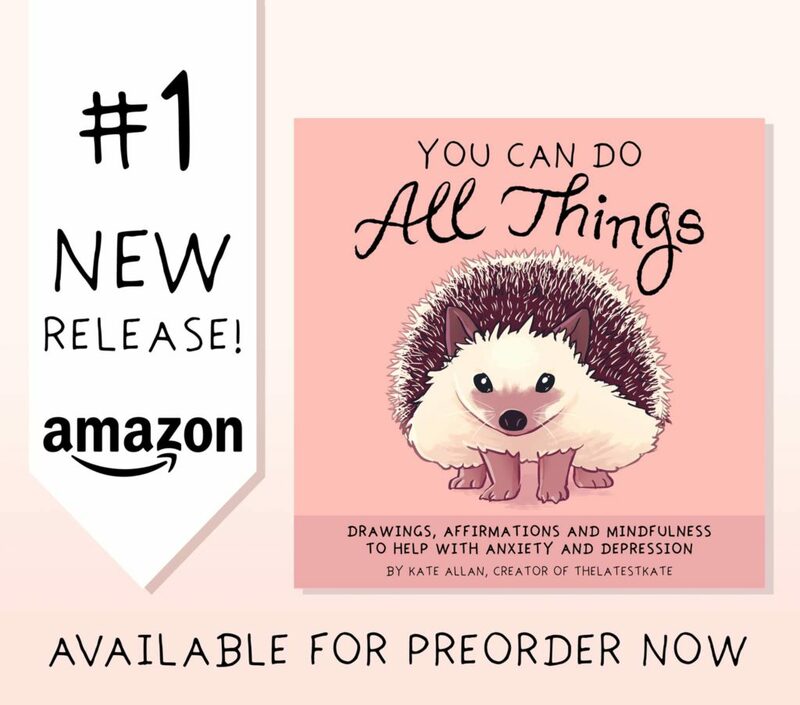 Allen’s colorful illustrations paired with encouraging messages started out as art therapy for her to cope with and manage her own Generalized Anxiety Disorder. But when she saw how her work helped others, she started creating for a wider audience. In her early work, we can see how she experimented with different visual themes. She played with different backgrounds, formats, and figures. 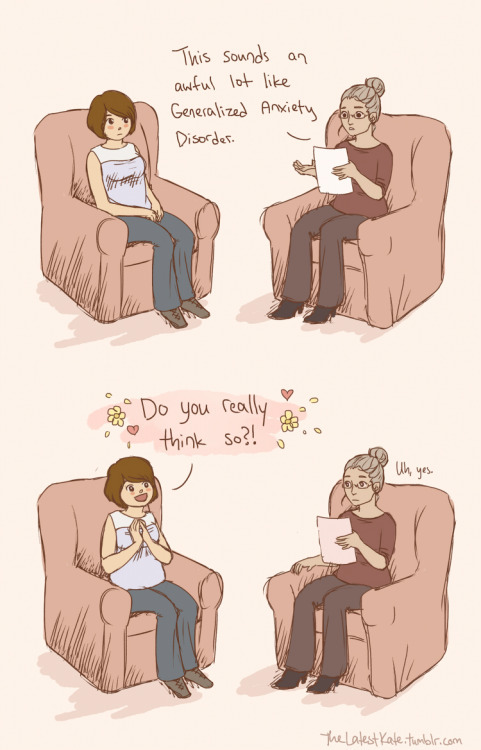 Sometimes her work was autobiographical, featuring short comics about what it’s like to live with a mental illness. Other times, she drew animals or plants. Allen found her groove in pairing illustrations of animals with short, encouraging messages. And while she continued to occasionally create works with plants or human figures as the main focus, the animal illustrations are obviously her favorite. Her work features animals of all kinds, from cute and cuddly, to graceful and majestic, to small and slimy, to outright fantastical. They are sometimes depicted in fairly realistic way with natural color schemes and settings. But Allen has also played with Lisa Frank color palettes and treated her animal figures as windows onto a starry sky or landscape. It would be easy to stuff Allen’s work into that same box as the old inspirational posters we used to see in our elementary school classrooms: cute animals with pointless platitudes like “hang in there”. But to do so would be to miss the nuances in her body of work as a whole. Her own experience with mental illness has enabled her to create art which is sensitive to the various messages a person struggling might need or want to hear. The way that she pairs words and images conveys a whole range of moods, allowing different works to meet her viewers wherever they are emotionally. Sometimes that means a serene polar bear reminding us to stay soft. Other times, it means a spooky deep-sea mermaid reminding us that light can be found in the darkest places. Still other times, it means a fierce and friendly griffin reminding us that we are survivors. As more and more people defy stigma to talk about their struggles, mental illness is becoming more visible. But our society is still learning how to support those who need it. While art isn’t a replacement for mental health care or the help of a strong support network, it still has great power. When help and compassion are difficult to come by, the work of Kate Allen is a gentle, loving reminder that we are not alone.